TAPPS announces the first TAPPS Honor Choir. The Rehearsals and Concert will take place during the TAPPS Annual Convention. The convention is hosted by the Waco Convention Center on June 11-12th. 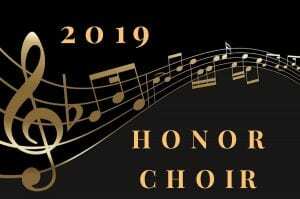 The qualifications for the Honor Choir required earning a Superior Rating on Class I Vocal Solo at the TAPPS Solo & Ensemble competitions held across the state. *TAPPS will provide a t-shirt to be worn at the concert, a music packet, supplies, a water bottle and lunch on the 12th.